The Christmas Holiday weekend netted several successes on the crime front and few reports of offences recorded. Amongst the persons arrested were Lindon Panchoo of Mt Parnassus, St George, who has since been charged with possession of a firearm and damage to property; Lyndon Mitchell, 33 years resident of Grand Mal was charged with money laundering; Elon Francis also of Grand Mal was slapped with multiples charges, which include possession of an explosive device, assault on a police officer, resisting arrest, obscene and insulting languages; Devon Charles, 34 years of Tempe for damage to property and causing harm. John Murray of Mont Tout and Blondell Williams of Mt Hartman were charged for possession of a controlled drug, while Carldon Williams of Happy Hill was charged for possession and trafficking of a controlled drug. Also on drug charges are Grettel Thomas and Shakim Thomas, both of Hermitage St Patrick. They have been charged for the offences of possession of a controlled drug and possession with intent to supply to another. Bridget Phillip of Sendall Street, Grenville, was charged with arson; and Ricky Alexander of Crochu, St Andrew, with wounding; while Dwayne Alexander of L’Esterre, Carriacou, was charged for stealing articles and cash valued over $6,000. There were 2 reports each related to housebreaking, stealing from a motor vehicle, and robbery with violence. There was also a report of housebreaking and stealing at the Blessed Sacrament R C Church at Grand Anse. The holiday weekend also recorded 21 accidents, 20 of which were minor and 1 major, which occurred about 6:45 am on Christmas Day in Woodlands, St George. Two persons were hospitalized from this accident. Several search warrants were executed and a number of persons detained for questioning in relation to offences of robbery with violence and stealing. A quantity of goods believed to have been stolen were also confiscated for investigative purposes. There was 1 report of a house fire which occurred at High Street, Sauteurs, St Patrick. 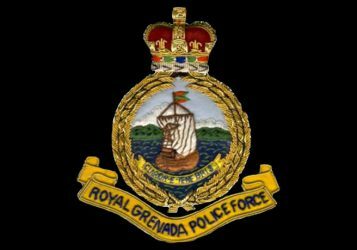 Police are investigating the death of a 28-year-old male whose body was recovered from his resident at Brizan, St George on Sunday, 27 December.